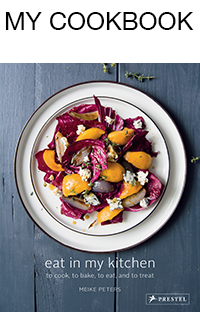 This dish caused one of those exciting kitchen moments that leave you speechless. I had a rough idea of what I wanted to throw together but when it was finally on my plate, it blew my mind. 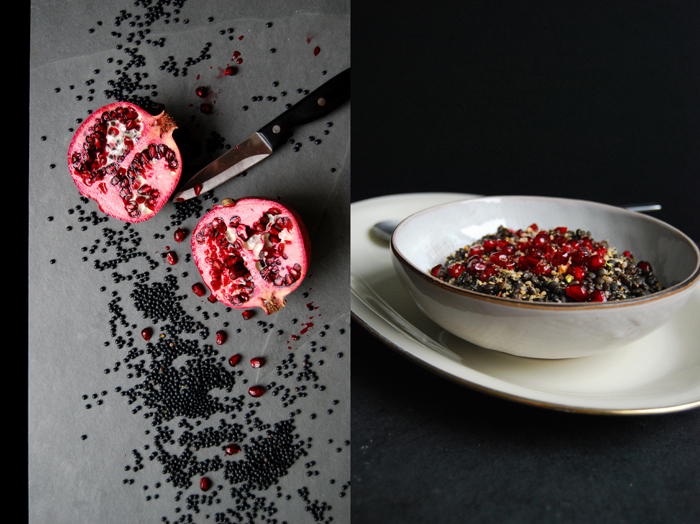 I have wanted to mix black Beluga lentils with the glowing red of pomegranate seeds for quite a while as I couldn’t resist this colour combination. 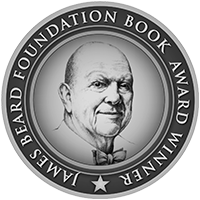 I felt sure that something that looks so beautiful together must also match on a culinary level! 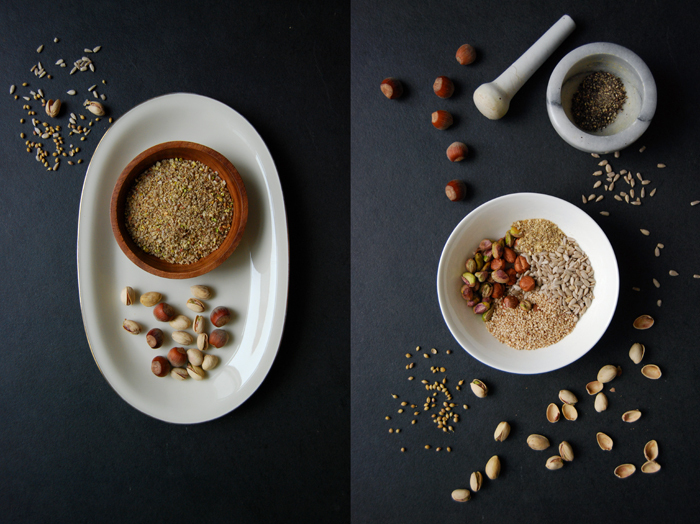 A couple weeks ago I read about dukkah which reminded me of this great mixture of seeds, nuts and spices so popular in Egyptian cooking. So I decided to add this as well. I prepared a selection of hazelnuts, pistachios, sesame and sunflower seeds and took some black peppercorns, coriander and fennel seeds and cumin from my spice box to make the mixture complete. The lentils cooked with a bunch of fresh thyme and a bay leaf before I stirred in a splash of olive oil. 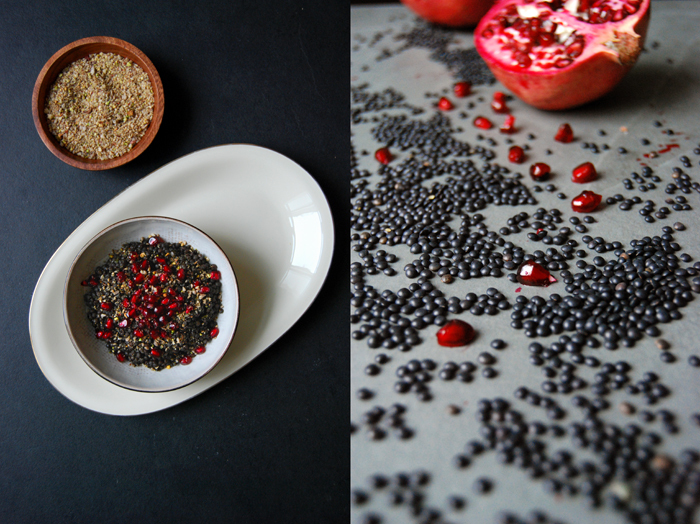 I arranged the legumes on the plates with the crunchy pomegranate seeds and my dukkah and was mesmerized by its beauty and simplicity. The first bite made me speechless, it was fantastic! 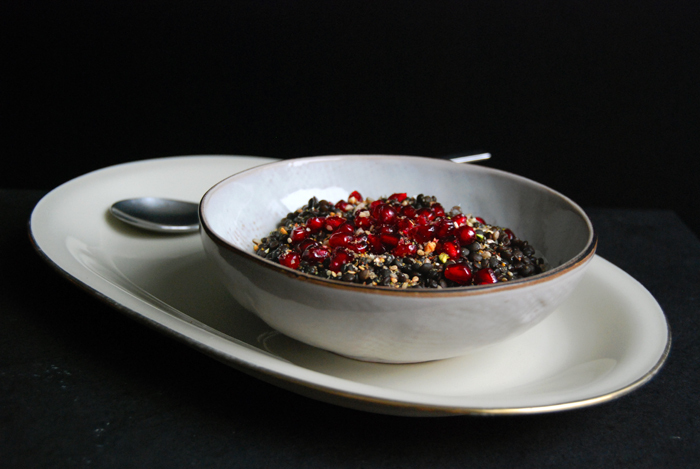 The nuttiness of the lentils combined with the dukkah and the sweet and sour pomegranate is one of the best things my dark Belugas have ever seen (apart from my Lentil Salad with Blue Cheese and Pear). 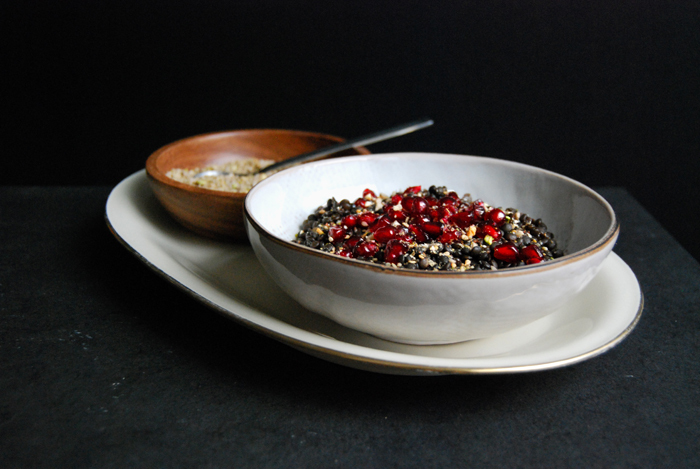 You can keep the remaining dukkah in a jar and use it for salads and soups. Mix the ingredients for the dukkah in a food processor. 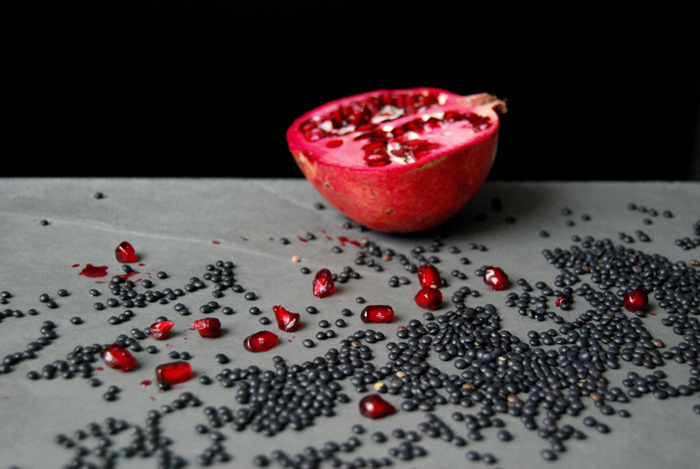 Peel the seeds out of the pomegranate. 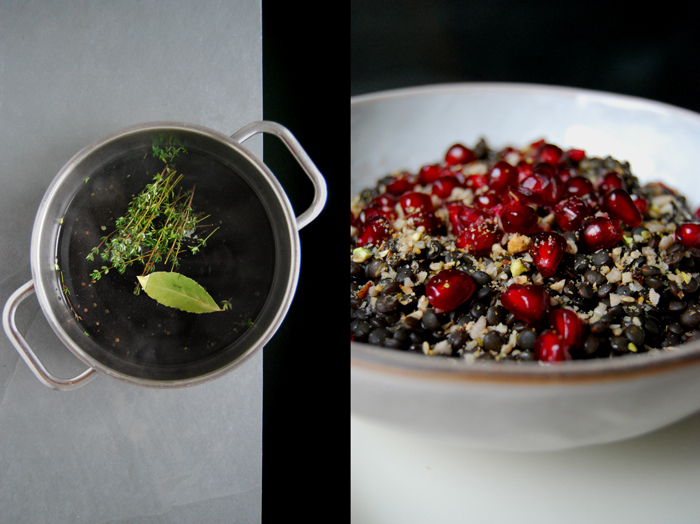 Cook the lentils according to the instructions on the package with the bay leaf and thyme but without salt. Mine needed 20 minutes in 750ml / 1.5 pints of water. Stir in a splash of olive oil and season with a little salt. 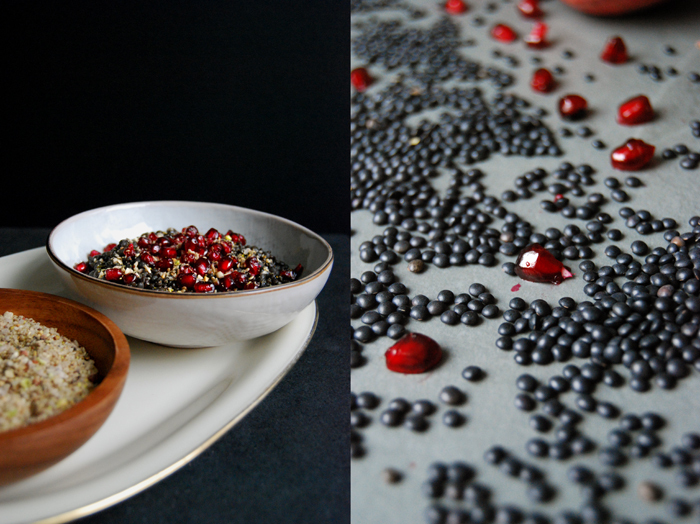 Arrange the lentils on the plates sprinkled with pomegranate seeds and a tablespoon of dukkah.